Most of Australia is blessed with a climate that is ideal for evaporative cooling. It is a naturally healthy way to cool your home. Unlike refrigerated air conditioning systems where air is dried, chilled and re-circulated, evaporative systems use the natural element of water to cool the air which is never re-circulated, and stale air is expelled through OPEN doors and windows. Outside air often contains dust, pollens and pollutants. Evaporative air conditioning prevents these substances from entering your home by filtering outside air through wet filter pads, flushing all airborne material from the air. GREAT FOR ALLERGY SUFFERERS. 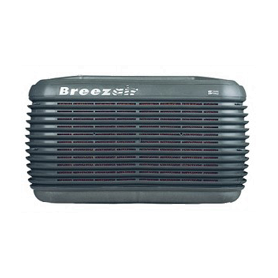 Kingaroy Refrigeration offers several brands of evaporative cooling including Breezair, Braemar, Brivis and Cool Breeze. If evaporative cooling is what you are looking for in air conditioning contact our office via email or phone with a quote request and Kingaroy Refrigeration can look after everything for you. After inspection of your home, office or plan we can design and quote on a system for you. If you go ahead with the quote, we then carry out the installation which includes organizing any other subcontractors required on the job. Kingaroy Refrigeration is proud of their after sales service and our qualified refrigeration mechanics are available to assist with any repairs to your evaporative air conditioning system in or out of warranty. We also offer a maintenance program to keep your system operating efficiently.